It’s been 100 years since the first commercial planting of oil palms in Tennamaram estate in Batang Berjuntai, Selangor. Elaeis guineensis Jacq. 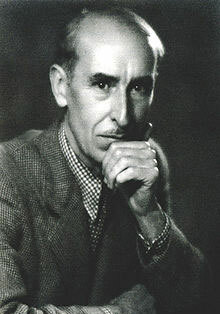 is the botanical name given to oil palm by a Dutchman, Nikolaus Josep Von Jacquin in 1763. The name refers to the oil of its fruit, where the word “elaeis” is derived from the Greek word elaia, which means olive while the guineensis refers to its place of origin which is regarded to be the Gulf of Guinea in equatorial Africa. It was first introduced to Malaysia (then Malaya) in year 1875 as an ornamental plant. 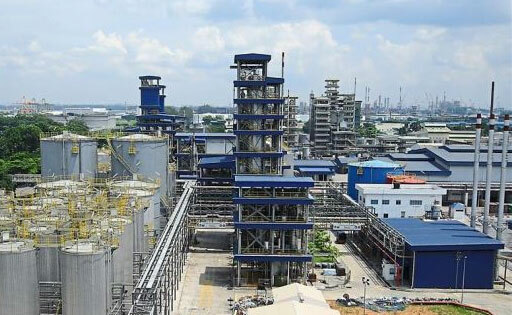 Realising its potential, it was planted commercially by French entrepreneur Henri Fauconnier in 1917, who also built the first palm oil mill in Malaysia. Since inception, the growers were mainly British planters and the cultivation further expanded throughout Malaysia taking over some of the previous rubber plantations. The economic potential of oil palm was significant and used to elevate the livelihood of many Malaysians especially those in the rural area. Through the Federal Land Development Authority (FELDA), the government introduced oil palm to replace rubber cultivation from year 1961. Cultivation among smallholders flourished across the country and surpassed rubber as the nation’s main economic crop in 1989. 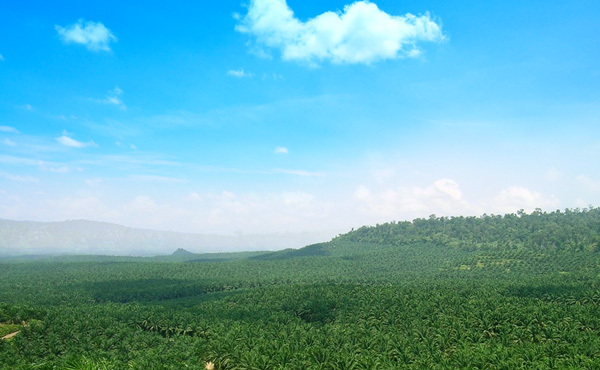 Oil palm plantations in Malaysia are based on estate management and smallholders schemes. Since the establishment of the first plantation in Tennamaram, plantations expanded up to Sabah and Sarawak in Borneo. By 2016, oil palm cultivated area reached 5.74 million hectares. Sabah has the largest plantation with 1.55 million hectares, 27% of total area planted followed by Sarawak with 1.51 million hectares or 26%. Meanwhile, Peninsular Malaysia (with 11 states) accounts for 2.68 million hectares or 47% of the total planted area. Total CPO from these areas records to 17.32 million tonnes, with FFB yield of 15.91 tonnes per hectare. This is what makes oil palm the most productive oil-crop of the world by producing 8 – 10 times more oil than any other major oil seed crops. During the cultivation of oil palm for the past 100 years, Malaysia was committed towards the environment and sustainability. This was eminent through Malaysia’s pledge made in Rio Earth Summit 1992 to uphold 50% of our land under forest cover. The recent Global Forest Resources Assessment (FRA) 2015 report by UNFAO proves that the claimed deforestation caused by the palm oil industry is not valid in the case of Malaysia, which still has 22,195,100 ha or 67.06% of forest area (http://theoilpalm.org/malaysia-is-green-and-growing/). Malaysia also gives high priority towards conservation of its mega-biodiversity and no single species is left behind. Through the years, sustainability and biodiversity has gained much priority in oil palm cultivation. Good Agricultural Practices (GAPs) are put in place for better pest management and reduced use of pesticides and herbicides. 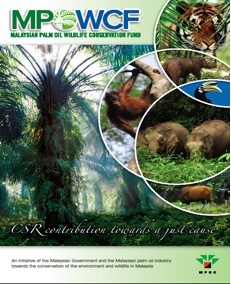 Another milestone achieved by the industry is through the establishment of Malaysian Palm Oil Wildlife Conservation Fund (MPOWCF) in 2006 with an initial fund of RM 20 Million, in which the fund is managed by Malaysian Palm Oil Council (MPOC). MPOWCF continuously identifies conservation projects and assists in the rehabilitation and survival of these iconic species. MPOC supports organizations such as PERHILITAN, Sabah Wildlife Department and Sarawak Forestry Corporation in their efforts towards wildlife conservation. The Wildlife Rescue Unit (WRU) was established under MPOWCF in collaboration with Sabah Wildlife Department (SWD). Currently MPOWCF also funds projects such as Bornean Elephant Wildlife Sanctuary (BEWS), Wildlife Rescue Unit (WRU) in Sabah, “Adopt a Tiger Program”. Certified sustainable palm oil is a growing trend and provides consumers with environmentally friendly options. Palm oil is certified by the Roundtable on Sustainable Palm Oil using guidelines and criteria that were developed to minimise deforestation, habitat loss and social conflict. There are also other certification schemes developed at national level by each government of the palm oil producing countries. Malaysia has established its own certification scheme where the national standard on sustainability is applicable for smallholders and medium / large corporations. The standards ensures compliance towards Malaysian laws and ratifies international agreement and conventions. The standard also encompasses the 3 pillars of sustainability which is made mandatory for compliance by end of 2019. Palm Oil is an important commodity in the global oils and fats market and it is an essential vegetable oil for ensuring global food security. 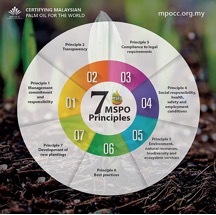 Malaysian palm oil is produced sustainably and responsibly for the past 100 years with compliance to existing national regulations complimented with best plantation management practices without neglecting the environmental and its services. Malaysian palm oil is important in supplying the world’s requirement for affordable oils and fats compared to other edible oils. 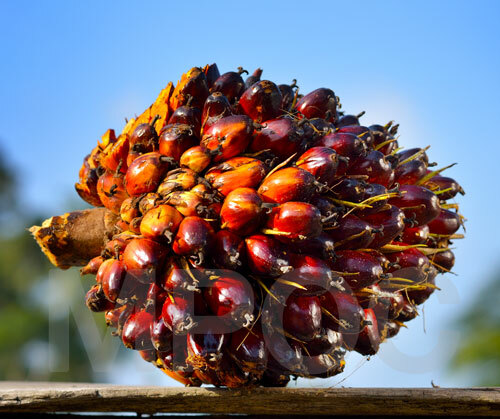 Malaysia’s palm oil industry’s sustainability policy and certification system ensures the production and the availability of high quality palm oil in the global market. This achievement of the oil palm industry as a major commodity for the nation calls for a celebration and a recognition on the contribution of oil palm and also all stakeholders while conveying the accomplishment message to fellow Malaysians and the global community. The Malaysian Palm Oil Industry will be having its centennial celebration official launch on 18th may 2017 at Tennamaram Estate, Batang Berjuntai, Selangor which will be officiated by Prime Minister, The Honourable Dato’ Sri Mohd Najib Bin Tun Haji Abdul Razak. Join us in celebrating this event and the achievements of the Malaysian Palm Oil Industry. “Malaysia is Green and Growing” was posted in the blog “The Oil Palm” – www.theoilpalm.org (http://theoilpalm.org/malaysia-is-green-and-growing/).